Lena “Lee” Stoneking 93 of Whitewater, died on Friday, October 26, 2018 at Fairhaven Senior Services. Lee was born on January 5th, 1925, in Anderson, IN, daughter of Gabriel and Louise (Kincherson) Precup. 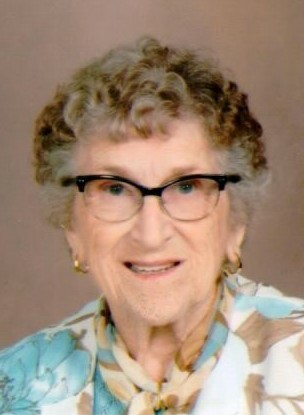 She graduated from Anderson Senior High School in June 1943 and with a nursing science degree from Ball Memorial/Ball State University in Muncie, IN in June 1948. As a registered nurse, Lee practiced various types of nursing care including hospital duty, occupational nurse, industrial nurse, and school nurse. Lee met her future husband, Lewis William Stoneking in St. Louis. They were married for 57 years until his death in December 2006. Lee belonged to many nursing organizations and was a member of the Congregational/UCC Church in Whitewater. She was also a member of PEO, the Alpha Club of the Women’s Federation Organization of Whitewater, and the Women’s Congregational Circle at church. Lee had volunteered in the churches she attended and was a volunteer at Fort Atkinson Hospital in Fort Atkinson, WI. Lee is survived by her four loving children: Lewis (Rhonda) Stoneking of Hartland, WI, Leslie (Lourdes) Stoneking of San Antonio, TX, Lisa (Victor) Simone of Los Angeles, CA, and Lori (Bob) Cunningham of Fitchburg, WI. She was blessed with five wonderful grandchildren: Stephanie (Stoneking) Billmyer, Michael Stoneking, Alanna Stoneking, Max Simone and Natasha Simone. In addition, she enjoyed three very active great-grandchildren: Emma and Matthew Billmyer and Ethan Stoneking. Lee is also survived by her sister Priscilla McCullough of Tucson, AZ, sister-in-law Frances Precup of Bloomfield Hills, MI, and several nieces, nephews and cousins in Indiana and Kentucky. In lieu of flowers, the family would appreciate donations to the Congregational/UCC Church youth program, the Fairhaven Foundation or a charity of the donor’s choice. A funeral service will be held at 11:00AM on Tuesday, October 30, 2018 at the Chapel of Maplewood Cemetery of Anderson, IN. Visitation will be held on Tuesday from 10:00AM until the time of service at the chapel. Also, a celebration of her life will be held at Fairhaven in Whitewater on Saturday, November 3, 2018 at 1:30PM.